Below you will find some of the feedback we have received from recent travelers. We have the best testimonials in the market and we can provide the contact info of any client listed on our testimonials page. I had a great experience. Thanks again for the help. All of the people, guides, etc, were excellent. I don't expect perfect English from people in a Spanish-speaking country at all, but nearly everyone was excellent, plus I had a really good time speaking Italian with the young lady who did the city tour in Buenos Aires and with a proprietor at Karut Josh hotel in El Calafate. I give high marks to that very, very friendly hotel, by the way. It's a short walk into town. I was truly blown away by the glacier cruise, and didn't feel at all "glaciered-out" on the second day at Perito Moreno (although the Serrano/Balmaceda trip would have been great too). 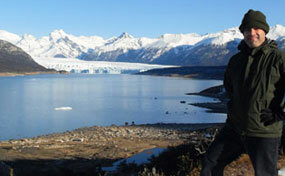 Seeing Perito Moreno on foot from the platforms and paths was crazy-amazing. The long day in Torres del Paine was also just unearthly. Beyond those spectaculars, just using my guidebook to choose some restaurants in various cities, exploring the unusual Patagonian museum in Punta Arenas with its creepy stuffed puma and so on, watching a condor fly overhead, finding an interesting spot in Calafate with some excellent vegetarian choices (I enjoyed steak in Argentina too, but I lean on a more plant-based diet), or meeting people on the way....well it was all fantastic. 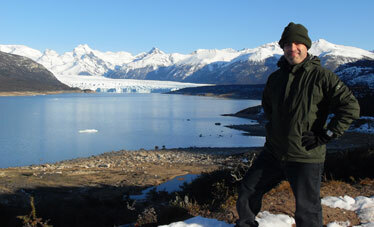 And I was the only guest at Karut Josh and also in Saltos del Paine! My own personal hotels. Best of all, as I'm sure you can understand after being in Austin....I was COLD. It was a stupendous, beautiful trip, giant thumbs up, and everything worked like machine. We were VERY happy with the services that you provided and your quick and helpful responses to our queries. The guides, greeters, and drivers were very good and helped us with some small problems that arose every now and then. We felt very calm about the logistics in South America, because we saw right away how smoothly things ran, in both Peru and Chile. We loved the places we visited and had a very interesting trip filled with many fun and interesting experiences. 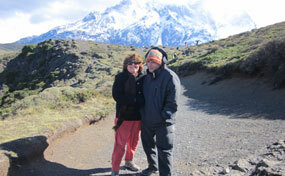 We especially remember Machu Picchu, Refugio Amazonas, Punta Arenas, Torres del Paine, O'Higgins Park, and the Atacama Desert - but all was really nice and we enjoyed seeing all of the beauty, different sceneries, cultures/traditions, and meeting the very, very friendly people of Peru and Chile. We will definitely recommend you and Latin America For Less! 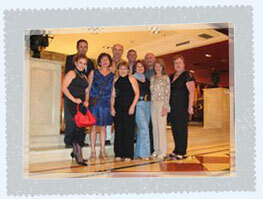 When we made our South American travel arrangements with you we had little doubt that we would enjoy our time there. This turned out to be corrected, as there were so many wonderful experiences on our itinerary. Our main concern was whether the logistics would work out as planned: being met off flights; punctual pick-ups for travel connections and tours; hotels that were expecting us and so on. To be able to depend on the plan was very important for our peace-of-mind as planning from New Zealand seemed so far away. And it turned out just fine. For instance, our flight from Santiago to Quito landed four hours later than scheduled. We were concerned that out our courier would not be there, but we were most pleasantly surprised to find our courier still waiting for us. That was service at its best, and all the other connections worked like clockwork as well. Also worthy of mention is the quality of the guides that were organised for us. The standard was high and in most cases exceptional in their knowledge, communication ability, humor, and general friendliness. The standard of transport was generally very good - we have never been in so many Mercedes vehicles in such a short time period, even if they were mini-coaches. Any time that there was a change in plans you notified us immediately, both via e-mail and via a phone call to our hotel. We felt free to contact you any time and knew that our questions would be answered immediately. Our appreciation to all the guides, drivers, and hotel staff you organised throughout our holiday, and our thanks to you and Peru For Less for providing such a wonderful service. 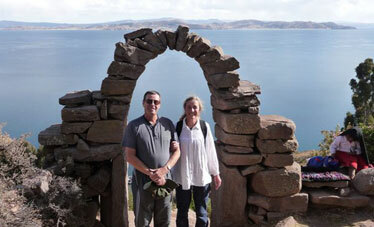 We would be happy to recommend you to anyone considering a holiday in South America. Thanks for putting together a great itinerary. I had a fabulous time. Buenos Aires, Mendoza and Santiago de Chile each were exciting and interesting in their own way and greatly exceeded my expectations. All of the guides were interesting people, well versed in their subject matter, pleasant to be with and punctual. Particular compliments go to Maria Lara in Buenos Aires who takes her responsibilities very seriously and has a true depth of knowledge of Argentina and its history. Las Pampas, Patagonia, Colombia and Peru are all on our future plans, so I am sure we will be contacting you in the future. Thanks again. Five weeks in South America and we joke that we received "more for less." Our first online contact was with Gavin Breeze who patiently answered innumerable questions and helped us organize our "own detailed and unique itinerary" to meet our interests, pace and budget to suit our group of five people, all in their sixties. 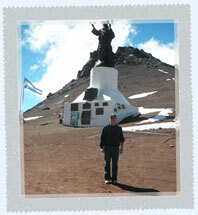 We selected our accommodation (based on our price range) from an electronic shortlist provided by Argentina for Less. The hotel names were linked to websites so we could actually see the possibilities ahead of time. Our accommodations turned out to be excellent throughout the trip. From hotels, to flight purchases and local tours, Gavin's insights gave us good advice and choices. Our questions were always promptly and thoroughly answered. This service was SO much better than buying a packaged tour!!! We also appreciated the ground staff arranged by Argentina for Less in the five different countries (Brazil, Argentina, Chile, Peru, and Ecuador) we visited, who, without fail, arranged for us to meet and depart on eleven separate flights at all hours of the day. Having personal transfers from airports to hotels (and vice versa) and to be picked up and delivered at our hotels before and after tours took so much of the stress and uncertainty out of the trip. This service allowed us to really enjoy the sights and not worry about the logistics of getting here and there. 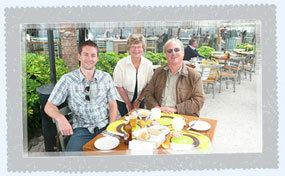 We were provided with often exceptional guides for specified tours that always met or exceeded expectations. We had a good balance of tours on our own and those with larger groups. We always appreciated the flexibility and personal touch, AND all at a reasonable price. We highly recommend Argentina for Less and plaudits to Gavin who easily earned his beer when we met up with him in Lima." We are back in Malta! We would like to thank you and your team for a most enjoyable vacation. Considering the many countries (Peru, Chile, Argentina, and Brazil) we visited, and the 14 flights we took, all went well. Hotels were of a good standard with the 'Emperador' in Buenos Aires being exceptional value. We were always met on time by extremely competent guides. Transport used was always clean and comfortable. Once again, thank you for a great vacation and I will certainly recommend Argentina For Less to those who would like a stress free holiday in South America. Latin America for Less was so helpful in coordinating many aspects of our latest trip to Chile and Peru that we plan to use them again when we take 2 groups down to Chile on a mission trip. They can find good deals, routes, and make traveling easy. THANKS SO MUCH. Service is the key and Latin America For Less took care of everything. Can't imagine traveling to South America without all the V.I.P. assistance rendered to my wife and I in making the complicated itinerary actually work, with amazingly smooth connections. Too many things could go wrong as we tall Americans stand out so easily in just dealing with security just as a starter and having a multitude of staff representatives meeting us at airports and train stations, supervising next day's tours with special planning meetings and in hosting us with private drivers daily along with private tour guides who all spoke English fluently. 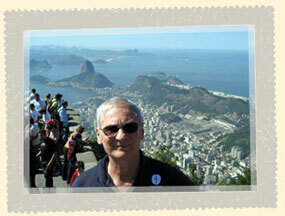 All of our friends were particularly scared to death that we were going to San Paulo and Rio de Janeiro, Brazil. But your Rio de Janeiro representative quickly settled that issue ten minutes after checking in at the hotel. He succinctly gave us specific do's and don'ts and we were completely safe during all of our free time as we freely walked, eat (never got sick) and shopped all over both day and night as the fashions in Rio are trend setting. And above all, Argentina for Less gave us the best customization possible in making the itinerary so dynamic and fulfilling and all within a minimum amount of visitation time in each city and country. 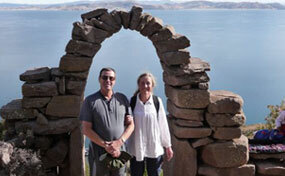 Our trip was incredibly successful in three different countries: Chile, Brazil and Peru. And in every instance, the coordination of details and execution were impeccably accurate regardless of the country visited. Success at every stage was achieved regardless of location, the weather, the country and/or the time of day or night we traveled and were sight-seeing. In summary, my wife and I are veteran international travelers to four continents and we will never travel to South America without Argentina For Less for the many reasons cited above. 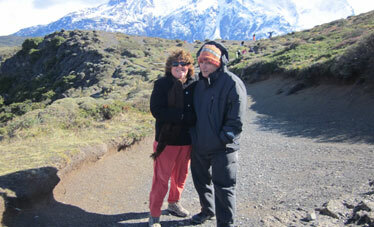 Overall we found Peru For Less to be a professional and efficient operation. On every occasion, exiting the airports was reassuring as there was always one of your representatives waiting! You were very responsive to our last minute flight change (Lima to Santiago) due to weather and had your representative waiting even though we were several hours later than originally planned. We were satisfied with our hotel choices. Hotel Casa San Blas was lovely and very convenient to the main square. The staff was very helpful and the rooms small, but comfortable. We loved those hot water bottles in our bed at night. We truly enjoyed the ambience at the Hotel Galerias in Santiago - great location! Again, we cannot emphasize how truly seamless your planning for us turned out. We are impressed with your coordination of our trip and will definitely recommend your services to anyone and everyone. We had a wonderful trip arranged by Rylee, our Latin America For Less travel consultant. 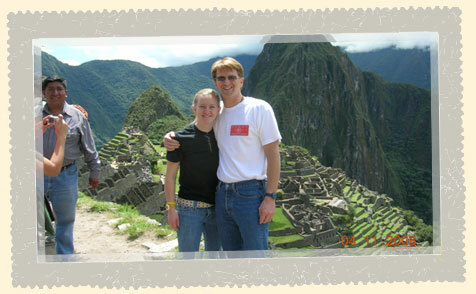 We were on a tight schedule as we only had 12 days and we wanted to visit different cities in Chile and Peru. Rylee worked out the schedule beautifully. We started from Santiago to Acatama to Patagonia, and ended up in Cusco for New Year's Eve, which is perfect! The plaza del Armas in Cuzco is definitely one of the best places to celebrate New Year's Eve. When Rylee found out that we were celebrating our 4th wedding anniversary, she even went out of the way to notify our hotels. We received a bottle of wine or champagne in some of the hotels we stayed in, it really made our day. She also recommended a list of her favorite restaurants in Peru, and nothing beats an insider's gastronomy tips! All in all, I would highly recommend Latin America For Less for granted great and memorable holidays!